It’s always such a relief when I can find a product that’s compatible with my ridiculous skin. I’ve been waiting to review this for a while, so let’s get right into it. 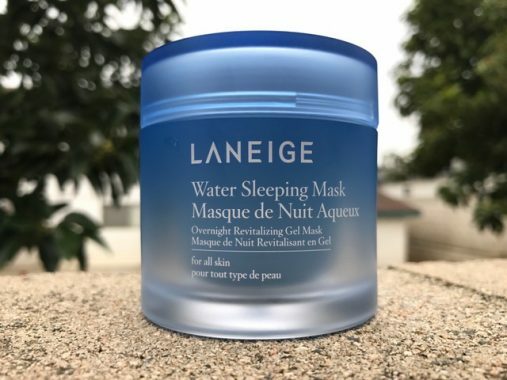 3 How to Use the Laneige Water Sleeping Mask. 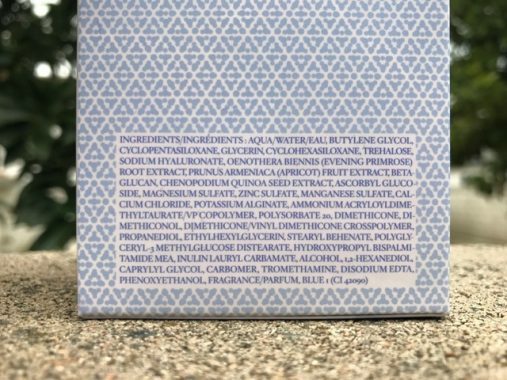 Check out the full ingredient list. On a firsthand glance, it doesn’t look like any too special, but you’d be surprised how well this works. According to COSDNA, this is one of most non-comedogenic moisturizers available today. The only ingredients that come up as potentially pore-clogging are butylene glycol and dimethicone, which both score at nefarious 1/5 on the comedogencity scale anyway. Let’s break down all the ingredients of interest! Cyclopentasiloxane is a water-thin silicone that helps disperse thicker and greasier ingredients. This is what gives the Laneige Sleeping Mask it’s glorious feel and ultra-smooth spreadability (more about this later). What makes Cyclopentasiloxane especially cool is that it actually evaporates into the air, which makes your skin feel less weighed down by product. This is great for those that don’t like the feeling of moisturizers on their skin. As an aside, silicones don’t jibe with everyone’s skin. Mine personally loves them, but hates fatty acids and most oils. It seems that for many people, it’s either one or the other. If you don’t know which type you are, make sure to patch test. A sodium salt of hyaluronic acid, which is a naturally occurring polysaccharide in skin. In cosmetics it’s used as a very powerful humectant to give your face some serious hydration. It does this by glomming water molecules and holding them to your face. It’s hard to say exactly what this does in its extract from, but for whatever it’s worth — primrose oil has been shown to sooth skin and is rich in linolenic and linoleic fatty acid, which is good for acne-prone skin. Again, I couldn’t find much on this ingredient but apricot oil has skin-soothing and antioxidant benefits. A vitamin C derivative paired with glucose (a sugar) that breaks down into ascorbic acid in the skin. (6) Ascorbic acid being the form of vitamin C that increases collagen production, brightens skin tone, and fades hyperpigmentation. Another silicone. This one is super common and found in most western moisturizers because of how well-tolerated it is. It doubles down as an emollient and occlusive, meaning it moisturizers the the skin in 2 ways: (1) creates a barrier to prevent water loss. (2) Sinks into the brick and mortar structure of skin to make it more flexible and less prone to cracking. Sigh. 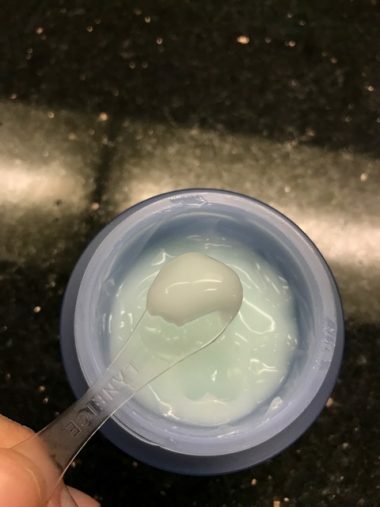 The only downside about the Laneige Water Sleeping Mask. Unfortunately, fragrance in skincare can be irritating to select individuals. Particularly women with eczema or those with who have a history of allergic reactions to deodorants or perfumes. For more information about fragrance-free skincare, go here. Overall, a solid product with a basic formula. You can expect this sleeping mask to add some serious hydration into your skincare routine. This is also compatible for those suffering from malassezia sensitivities, which is the case with seborrheic dermatitis, pityrosporum folliculitis (“fungal acne”), and eczema. None of the ingredients in this formula will feed the genus of fungi that makes these conditions worse. Like I mentioned above however, I caution those with eczema to steer clear of this product given that it has fragrance. It spreads and glides super easily across the skin. And again, it feels GLORIOUS — pretty lightweight, has a ton of slip, is silky, and dries matte. If you’ve ever used a silicone-based moisturizer, you’ll know how this feels after drying. The words velvety come to mind. Your skin just instantly feels softer and smoother to the touch. Every time I used this and woke up the next morning I could literally see the effects it had on my skin. Everything just looked more plumped and hydrated. I imagine this is because all the silicones in the formula do an excellent job of locking in the skin’s water content. 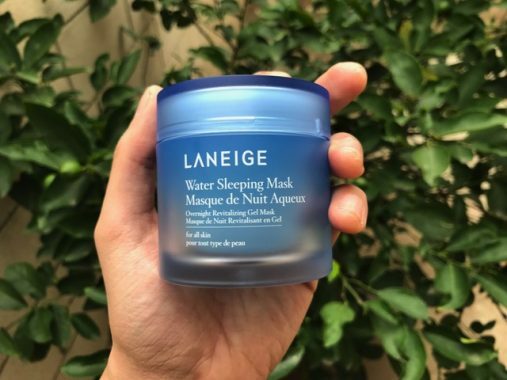 How to Use the Laneige Water Sleeping Mask. Since this is a sleeping pack, it goes on as the last step in your routine after moisturizer and before occlusives like vaseline or aquaphor. Alternatively, it can be used as your primary moisturizer. This is how I used it for a couple weeks. The instructions say to use it only twice a week (not entirely sure why). I used it twice daily and had no problems. :p Matter of fact, my skin seemed quite happy about it. A mixture of silicones, antioxidants, and a couple extracts. According to COSDNA this is one of the safest moisturizers as far as the comedogenic scale is concerned (i.e. it won’t clog pores). However, it does come with the addition of fragrance which can irritate some people. Very hydrating, locks in moisture, and “refreshes” skin. Some of the antioxidants like ascorbyl glucoside may help brighten skin tone. Very cosmetically elegant. It spreads with ease, has a lot of slip, and a little goes a long way. It dries leaving the skin soft and smooth. Comes in a glass jar with a little spoon to prevent bacterial overgrowth. Not too expensive for how long it will last. All in all, a solid sleeping mask that can just as easily be used as a lightweight moisturizer. It’ll give the skin needed hydration, shouldn’t clog pores for the majority of people, and is compatible with very finicky skin conditions like seborrheic dermatitis and malassezia folliculitis. Hope you’ve enjoyed this review! Im currently using rosehip oil for the last step of my night routine. Im wondering when should i apply this water sleeping mask? Before or after the oil? So the order will be like – cleansing, toning, boosters/serum, mask , night cream/moisturizer. Hi, thank you so much for doing such an amazing job at breaking down a product. I started using CeraVe products on your recommendation and I have to say, I LOVE THEM! It’s such a bummer when you spend money on products that end up breaking you out or don’t really do what they are supposed to. Thank you, thank you, thank you… a million times. Is it ok to apply vaseline over this at night? Using this as a moisturizer currently and i like it a lot. Is drunk elephant Marula oil considered an occlusive? I use a cleansing oil, then cleanse with purity face wash and my Clarisonic, apply my eye gel, use my obagi retinol, then apply this sleeping mask and then the drunk elephant oil….should I be doing the sleeping mask after the oil or before? Help haha! Hi FC, consider giving CosRx’s overnight rice masks a go? It’s a HG for me and my boyfriend, and at a much lower price point – love that stuff!!!! 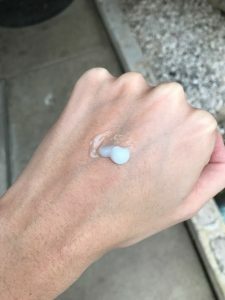 Side note I stumbled across your blog by accident this morning while researching the Hado Labo Premium Gokujyun Lotion, and have spent my day reading every single one of your articles!! Lol keep up the good work, I’m a fan! 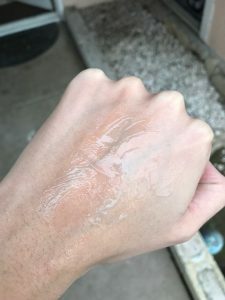 Is this bad for sensitive skin? 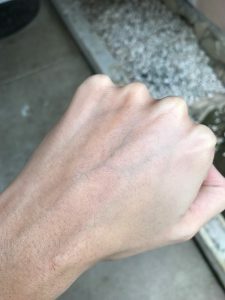 My skin gets irritated sooo easily! can i apply face oil after this?